Our Custom Speaker Fabric is a soft woven poly-blend material constructed using a Pique knit. An acoustical fabric that you can attach to your speakers grille panel. This woven, custom made Speaker fabric, is constructed of an open weave build and has a mesh-like quality. 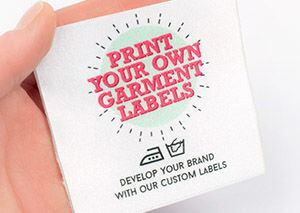 Weighing 5oz this material is of medium body, with a matte surface texture, it’s also slightly opaque allowing sound and light to pass through allows the fabric to be breathable and the print to be visible. With an elastic body, this Printed Speaker Cloth has a four way stretch quality that makes it perfect for manipulating around your speaker of choice. 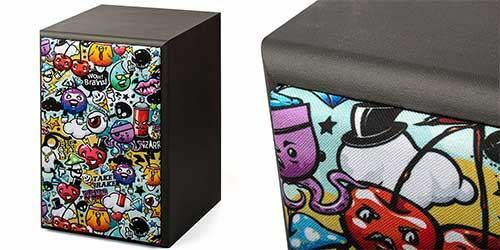 This is the custom printed Speaker fabric that we supply, decorate your speakers into something unique. The front texture of this fabric is soft, smooth, thick and due to its elasticity it has a lot of give and bounce to it when handling making it quite a lively fabric. The back texture holds the same energy, just with a more textured surface, due to the indents designed within the weave. 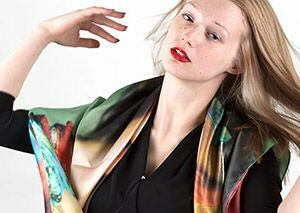 With a comfortable easy drape, it’s a soft malleable material. Its open weave makes it a breathable and acoustical fabric. 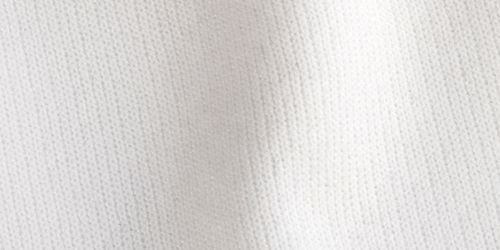 The base color of fabric is a stark white, with a powerful set of colors that stand out against the white background. The final design has very detailed information and shows fine lines easily without interruption from the texture of the material. The fabric reflects light well despite the matte surface texture, due to the very minor sheen to the final finish. Specifically designed for use with speaker grilles. But its many qualities would lend it well to use in arts and crafts too. Gold star My fabric looks fantastic! 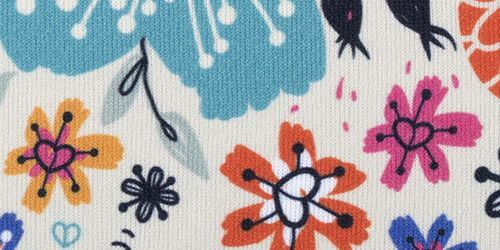 I love how beautiful the colors print and the consistency from order to order. The turn around time from placing the order, printing, and shipping always amazes me. I usually receive my order in just a few days! You deserve a gold star! Beautiful Print Quality I recently had another fabric printed with my custom artwork. As always the print quality is absolutely beautiful. 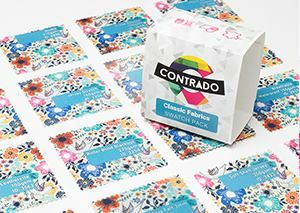 Thank you again Contrado! Love the fleece! It printed well for me and didn't lose as much detail as I thought it might. I am a quilter by trade and do wish there was something strictly 100% quilting cotton. A HUGE benefit for me is the width Comtrado prints at. I can use design programs to design beautiful, modern quilt tops. The width of the printing is so important that I'm going to continue using this company. Packaging was really nice. I really love the branding, particularly with the sample pack I purchased. I'm curious at this point if being a repeat customer will help me save on some of the costs. Ive already noticed some coupon emails I received after that first purchase. Can I use this fabric for clothes? 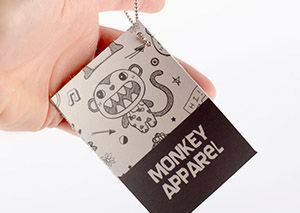 This is actually a breathable material so it can be used in the making of clothes too. It has two different textures, so if you would rather have the mesh side showing you may want to try our Sports Airflow instead. Is this suitable for any kind of speaker? This can be applied to all sorts of speakers, especially custom and cinema surround speakers where you need to camouflage the speakers. If you have any concerns, we recommend speaking to your audio visual installer. They often work with us for custom speaker printing jobs too. Will my heavy sub woofer base and EDM be affected? Not at all. The audio qualities are excellent and sounds will pass through without obstacle for both movies and music.